We are well into CES 2012 press day, but it’s about to get spicy starting at 2PM. 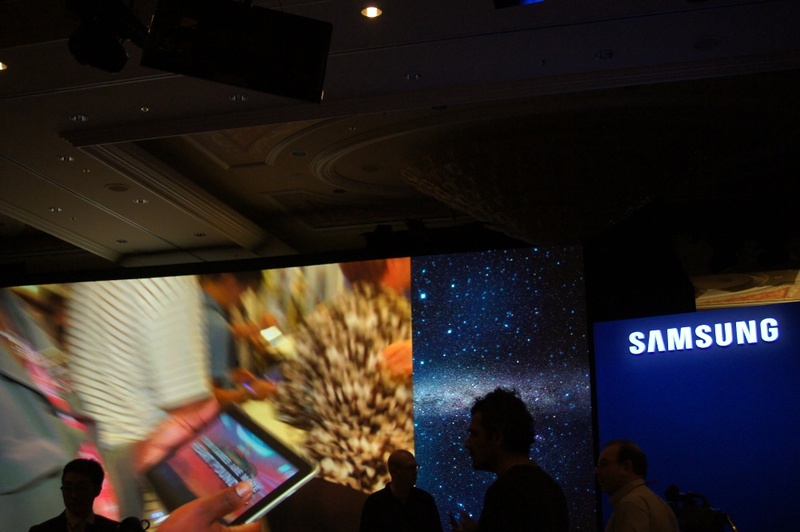 Samsung is going to take the stage to unveil what they have in store for the next year. They usually put on one of the better shows. We are fully expecting to see the Galaxy Tab 7.7 with LTE on display after receiving a press release for it earlier. Other than that, it’s anyone’s guess, although we have a pretty good idea with so many of their products making their way into the public within the last few hours. We could see more of their AT&T lineup that includes the Galaxy Note and the new HD Skyrocket. But just a reminder, this is a “Samsung” event, not just a mobile event, so expect TVs and appliances mixed in as well. The Galaxy SIII is not going to happen here. This should be good, hang with us.